The Alfa Romeo 4C may not be the most recognizable sports car in the market, but it sure as heck has the style and performance to give the rest of the lot a run for their money. I say this because that’s the 4C in standard configuration. Imagine what can happen if an aftermarket company can get its hands on the Alfa sports car and works its magic on it. We’ve already seen Garage Italia Customs release its program for the 4C Spider last month. Now it’s the 4C’s turn and doing the tuning honors is Pogea Racing. The German tuner has been featured on these pages in the past, thanks in large part to programs like “A Force One” and “Seven Deadly Sins”. Today, Pogea Racing is introducing the “Centurion 1Plus”, a comprehensive tuning kit for the 4C that includes exterior upgrades and engine modifications. The results are impressive, even if they’re not going to blow the lid off of the Alfa 4C. Just as important, Pogea Racing is limiting the availability of the Centurion 1Plus kit. If there’s even an inkling of interest out there, it might be best to get ahead of everybody else before all the available kits are scooped up. 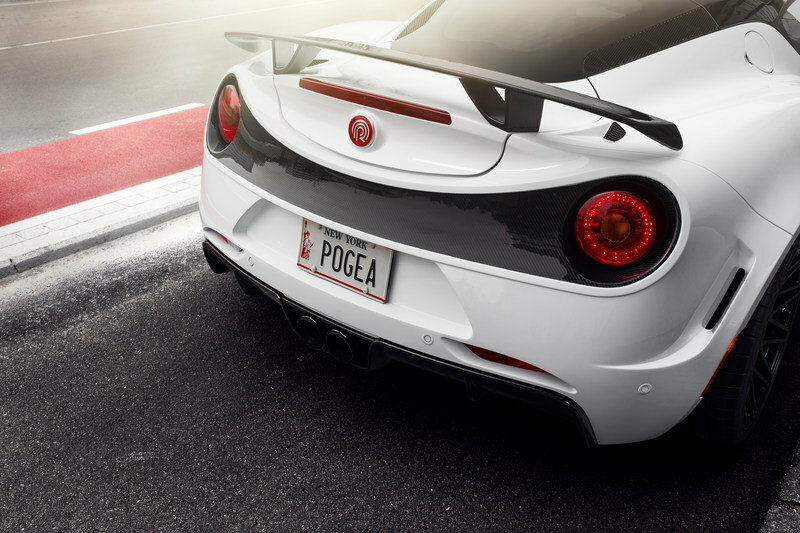 Continue reading to learn more about the Alfa Romeo 4C Centurion 1Plus By Pogea Racing. 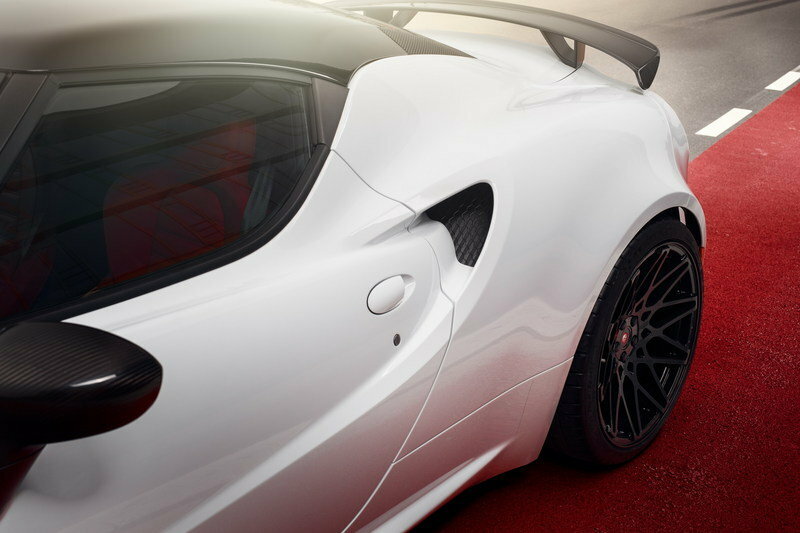 Befitting its limited edition status, this Alfa Romeo 4C is the recipient of a new carbon fiber body kit made up of a front bumper, a rear spoiler, and a diffuser. There’s also a custom rear wing, which Pogea claims is capable of generating as much as 77 pounds of extra downforce on the rear axle at speeds of 99 mph. Pogea Racing is also offering a custom set of ultralight forged XCUT wheels measuring 18 inches in the front and 19 inches at the back. The wheels are shod in Michelin 225/40 ZR18 and 265/30 ZR19 tires, respectively. Not surprisingly, the 4C didn’t get any interior upgrades so the stock version should still be there. This should be expected since Pogea Racing isn’t really known for making any cosmetic improvements on its past programs. The highlight of the Centurion 1Plus program is the modification made on the 4C’s 1.75-liter engine. Pogea didn’t exactly go into the specifics of what it did, but it did say that it was able to generate as much as 314 horsepower and 336 pound-feet of twist out of the turbocharged engine. If that’s the case, that would represent an impressive increase of 77 horsepower and 78 pound-feet of torque. 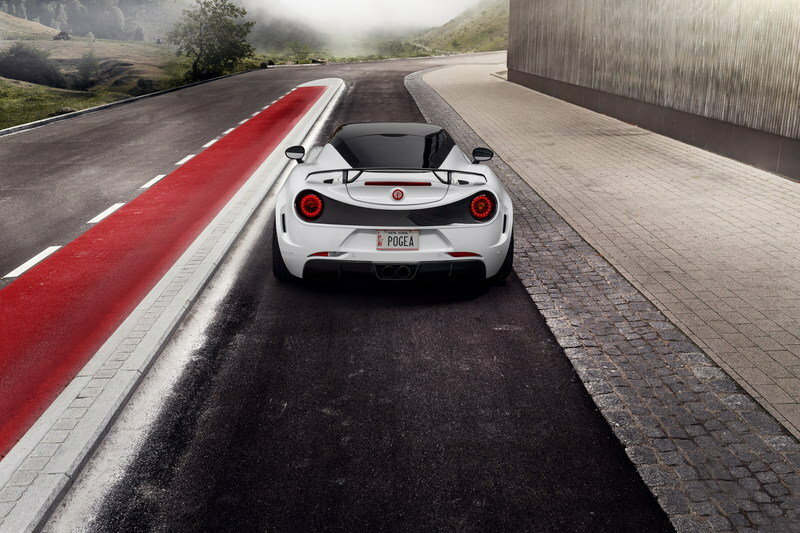 The improved output helps the 4C cut its 0-to-60-mph time to just 3.8 seconds to go with a top speed of 189 mph. 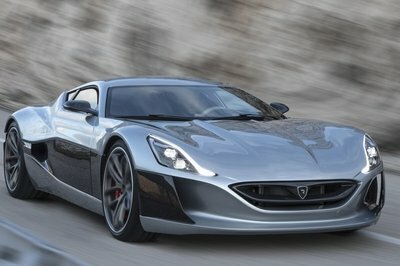 That’s an incredible improvement of three-tenths of a second in the 0-to-60 sprint and an extra 29 mph in top speed. 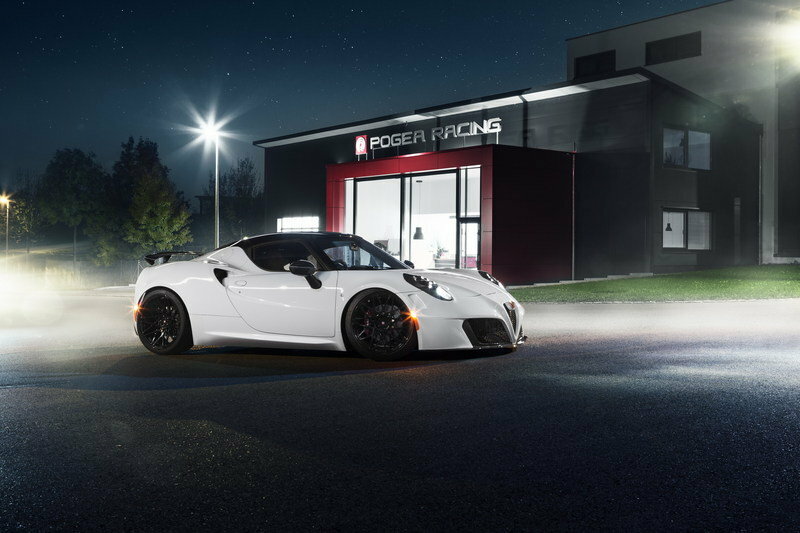 In addition to the engine bump, Pogea Racing also tweaked the 4C’s TCT Twin Clutch transmission, helping it change gears by as much as 55 percent quicker than the standard version. It may be a small upgrade in the grand scheme of things, but Pogea Racing also did work on the car’s suspension by installing a set of lowering springs that brings the 4C closer to the ground by almost two inches. The Alfa Romeo 4C Centurion 1Plus costs $87,100. That includes the base vehicle, the paintwork, and the assembly of the tuning kit. More importantly, Pogea Racing will only build 10 units of the 4C Centurion 1Plus. Those interested in making a play for any of the 10 available units are encouraged to contact Pogea Racing directly to get more information. 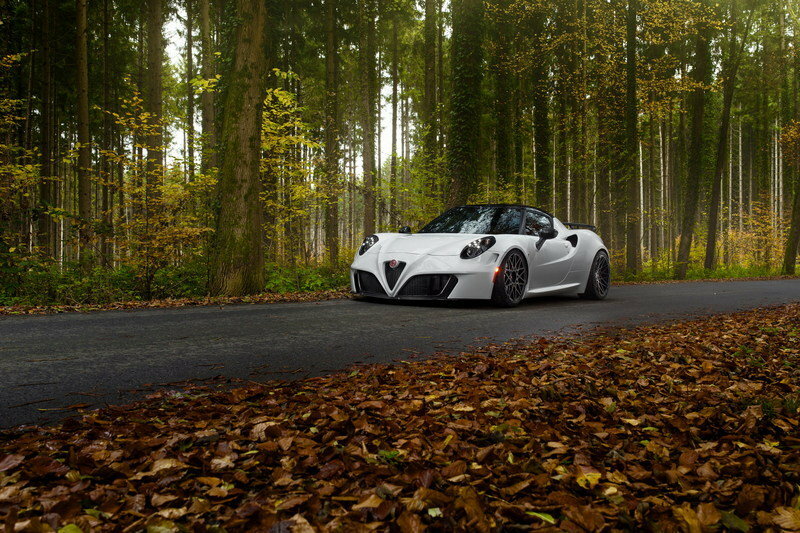 Aftermarket programs for the Alfa Romeo 4C are rare by the industry’s standards, so when a tuning firm launches one for the Italian sports car, it’s going to get some attention. 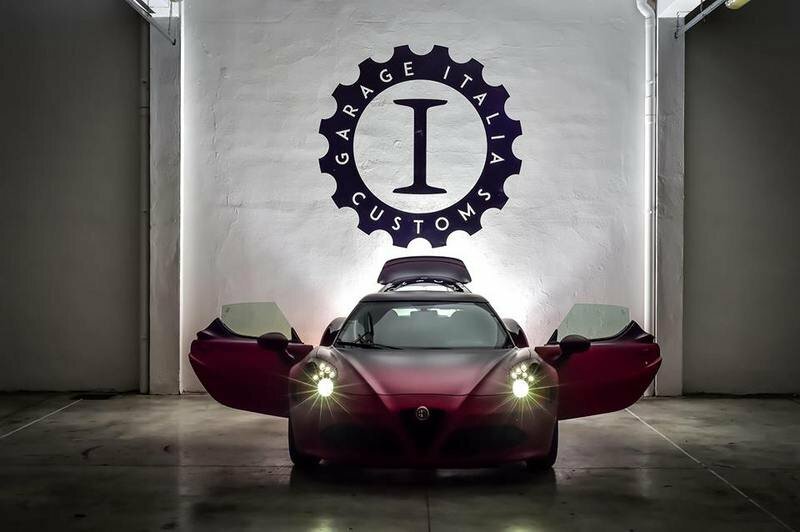 Just last month, Garage Italia Customs released a spectacular program that focused on giving the 4C a full aesthetic makeover. For example, the exterior of the sports received an Accursio Red paint in a matte pearl gradient finish. The combination of the finish and the carbon fiber roof gave the 4C a deep and reflective two-tone color scheme. A few accents can also be seen throughout the car, most notably through the clear rear window. Garage Italia Customs finished up the exterior with a new set of dark gold wheels. As fantastic as the exterior of the 4C is, the real highlight of Garage Italia Customs’ program for the 4C can be found in the cabin. Essentially, the tuner drowned the interior with black and Red Alcantara, covering the dash, door panels, seats, and center console steering wheel with the luxurious material. The consistency between the exterior and interior upgrades is remarkable. At the very least, they more than make up for the absence in engine modifications. Without the usual aftermarket tricks under the hood of the 4C, the Italian sports car’s 1.7-liter, four-cylinder engine retains its 240-horsepower and 258-pound-feet of torque output. That’s going to be a serious disadvantage compared to Pogea Racing’s Centurion 1Plus kit, but at least this particular 4C looks to be fit for royalty. I know I went against the grain by putting two 4C programs against one another, but like I said, the lack of notable kits for the 4C warranted such a move. In any event, the Porsche Cayman is about as direct a competitor to the 4C as any other model in the segment. This is important because there are far more Porsche tuners out there than Alfa Romeo tuners and one of them is SpeedArt. This particular kit for the Cayman actually has some years to it, but when it was launched, it had a full boat of upgrades for the entry-level Porsche sports coupe. 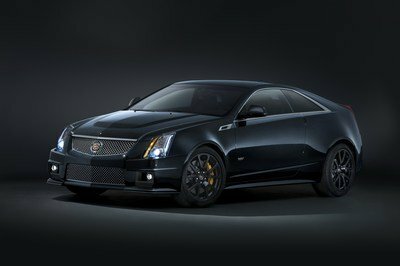 It had exterior upgrades in the form of an aggressive body kit that includes a new carbon-fiber hood, front spoiler, rear bumper, rear diffuser, and fixed rear wing. Moving inside, SpeedArt also dressed up the Cayman’s interior with its own leather and Alcantara elements. 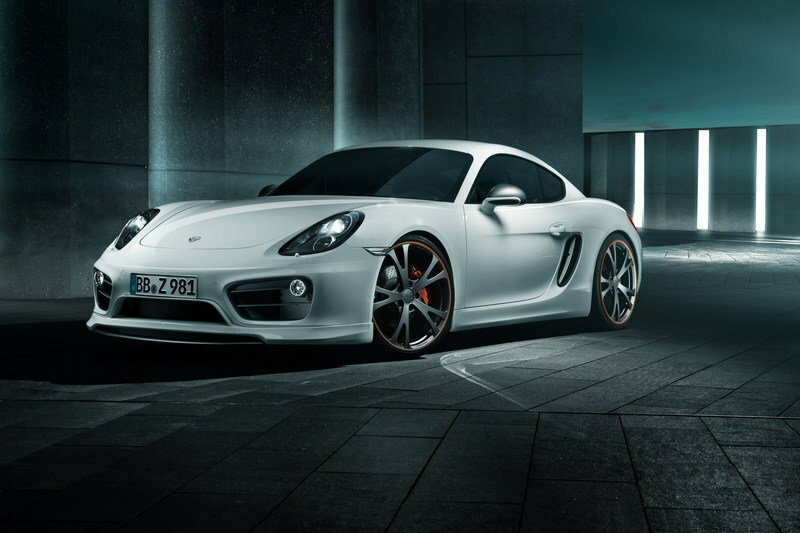 Last but certainly not least was the engine upgrade on the Cayman S’s 3.4-liter flat-six engine. 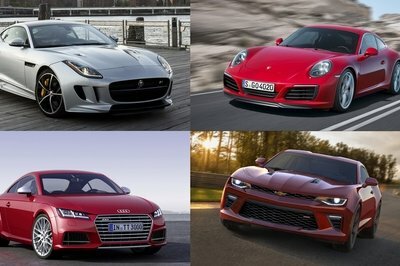 At that time, SpeedArt actually offered three different engine upgrades that can bring the Cayman’s output up to either 345, 360 or 400 horsepower. I love the Alfa Romeo 4C for all the things that’s hipster about it. 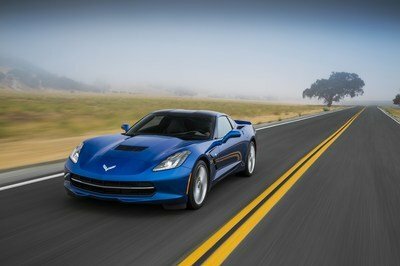 The sports car having a new aftermarket program only adds to that infatuation. Let’s face it: the 4C is a different kind of sports car than most of us are used to. It’s made by a small automaker with arguably one of the richest traditions in motor racing. It also looks supremely awesome and just as important, it has the performance credentials to back up the acclaim. Pogea Racing’s Centurion 1Plus program is simply another feather in the cap of the 4C. 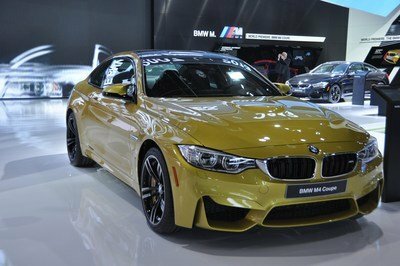 Now that it’s available in the US, there’s also that element of looking and feeling cool, knowing that you’re driving one of only 10 examples of this program. I’m all for the 4C Centurion 1Plus, and I’m sure that I’m not the only one who shares this sentiment.